129 loyalty points Your cart will total 129 points that can be converted into a voucher of 5,16 PLN. CONTAINS UP TO 90% OF PROTEIN! 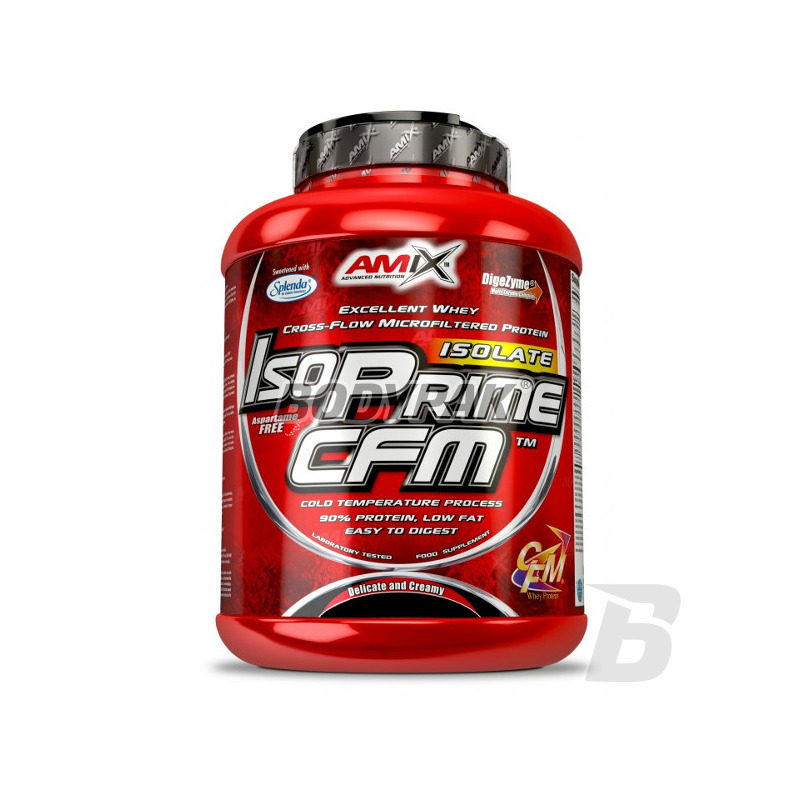 Amix™ IsoPrime CFM® is a premium quality whey protein isolate containing 90% of protein, that ensures a high biological value. This high quality product is fast digestible for the organism. It delivers the full spectrum of amino acids naturally found in whey protein, including the highest concentration of BCAAs, as well as other essential aminos. CFM® is virtually fat and lactose free! Ingredients: CFM - Cross Flow microfiltration whey protein isolate , contains: beta-lactoglobulin, alpha-lactoglobulin, bovine serum albumin, immunoglobulin, glycomacropeptides, lactoferrin, lactoperoxidase), cocoa powder (chocolate flavor only soy lecithin , dye: (banana - curcumin, strawberry and wild fruit flavors - beet extract, cinnamon - tartrazine and patent blue V), DigeZyme Digestive Enzymes Patented - a complex of many enzymes (amylases, lipases, lactases, cellulase, neutral bacterial proteases), sweeteners: Splenda®, acesulfame-K.
Najlepszy izolat z jakim miałem styczność do tej pory. Smak czekoladowy wymiata, chociaż nie to tutaj jest najważniejsze - najważniejsza jest jakość i działanie, a to jest na prawde na najwyższym poziomie!! Wanilia rewelacyjna, ale najważniejszy jest skłąd - izolat CMF - a nie jak bywa uzyskany metodą jono-wymienną.. dla mnie świetny produkt! High protein supplement based on whey and whey protein concentrate! Excellent source of protein in the diet of every sportsman. High concentration of BCAA and EAA affect the rate of recovery and the results achieved! Outstanding high-protein nutrient, which allows fast will complete their deficiencies of protein in the diet. 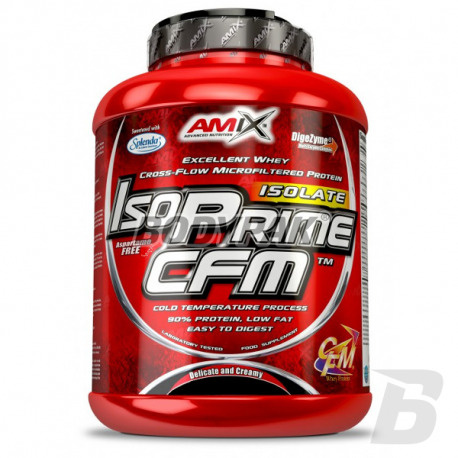 It supports regeneration and the development of lean muscle mass! Only contains wholesome source of protein in the diet of every sportsman. The manufacturer also took care of the excellent solubility sak and seamless! Excellent quality whey protein isolate with almost perfect aminogram. Nutritious source of protein in the diet of any athlete Refined taste and solubility.